Cats and Bats and Things With Wings for mixed chorus and piano. Thomas House Publications. (1992-1996) Moderate. 17 min. Published Individually. 4. The Crab (TTBB). Listen. 5. The Owl (SSAA). Listen. 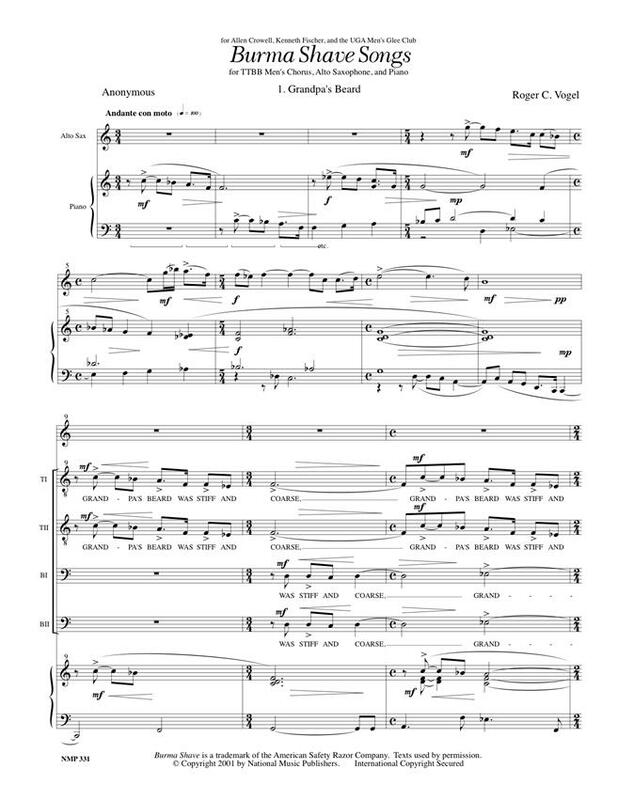 Canticle of Reason for mixed chorus (SATB) and piano. Composer. (1999) Moderate. 5 min. Christmas Long Ago for mixed chorus (SATB) and piano. Composer. (2016). Moderate. 4 min. Listen. Karma for mixed chorus (SATB). American Composers Edition. (1986) Moderate. 4 min. Listen. My Secret Love for women's chorus (SSA). American Composers Edition. (1986) Moderate. 2 min. Listen. Psalm 100 for mixed chorus (SATB). American Composers Edition. (1986) Advanced. 3 min. Listen. 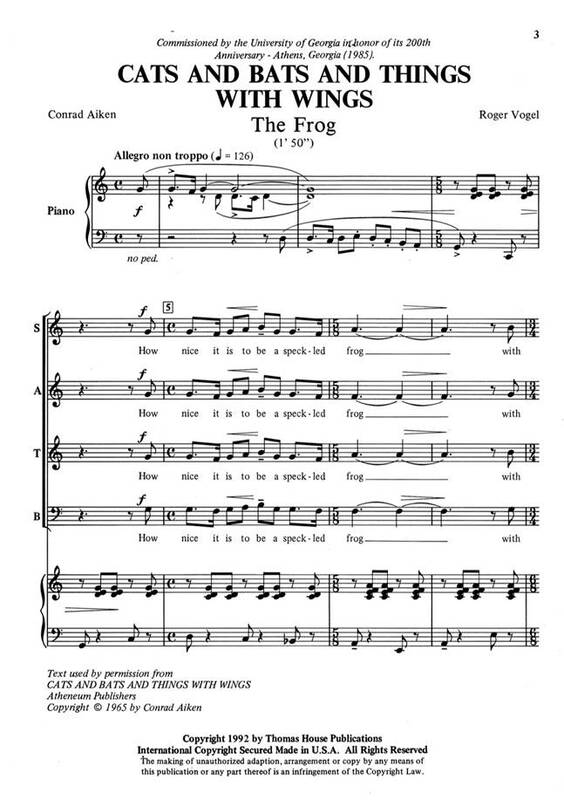 The Nature of the Cat for women's chorus (SSA) and piano. American Composers Edition. (1986) Moderate. 8 min. Listen. We Are the Music Makers for women's voices (SSAA), 2 flutes, and piano. American Composers Edition. (1993) Moderate. 5 min. Listen. Winter Song for mixed chorus, two flutes, and piano. National Music Publishers, (2003). Moderate. 4 min. Listen.